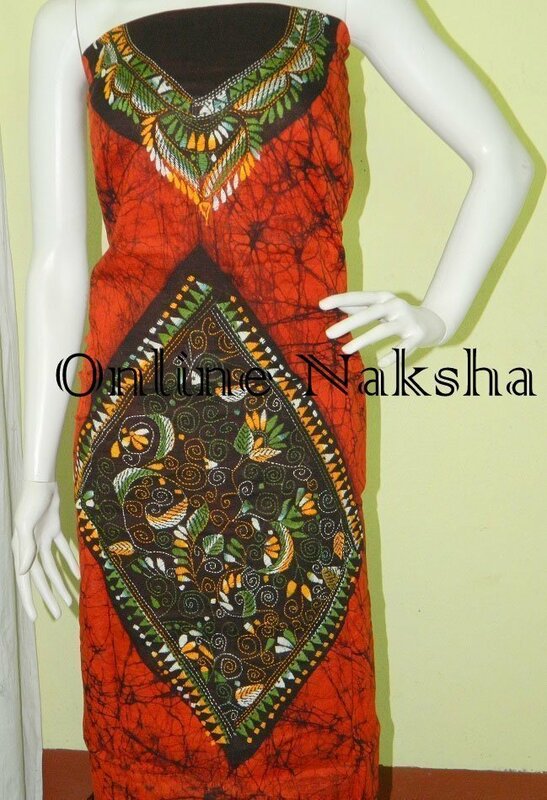 Batik Kurti Material Online for daily use offered by Online Naksha at very reasonable price. Featured orange kurti piece comes of all over crack batik. The front side of the piece kantha embroidery is done in a lovely design.These are all time favorite to the women who like to make them simply beautiful as well as trendy. Black and orange combination looks very eye catching. The texture is soft as well as light in weight. You can wear these dresses for your regular use. These are also sober to express your personality in simple way. Buy this beautiful kurti material at very reasonable rate.